ITC sold iconic menswear brand John Players and related trademarks and intellectual property to Reliance Retail as part of its restructuring plan, an ITC spokesperson said in a press release. Reliance Industries Ltd (RIL) said on Tuesday its unit Reliance Retail Ltd (RRL) has acquired consumer goods company ITC Ltd’s menswear brand John Players. The acquisition would help them to gain a strong foothold in RRL’s readymade garments and accessories portfolio in the fashion and lifestyle retail space, Reliance said. The two companies, however, did not disclose the financial terms and value of the deal. From past couple of months, sources said that Reliance planned to expand and spread the number of low-cost Reliance Trends fashion stores across India to 2,500 from 557 over the next five years and integrate them with its online business model. 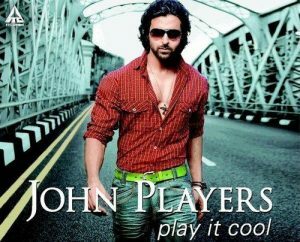 Reliance Retail has bought ITC’s mid-segment menswear brand John Players. This is exactly what Amazon and Flipkart are not permitted to do under the recent e-commerce norms. Blatantly unfair norms and regulations of this nature will have crippling effect on the Indian economy. Not only they may attract less and less FDI, but may force many investors to withdraw their investments. Reliance plans to diversify into e-commerce and expand in fashion as the conglomerate’s billionaire owner Mukesh Ambani aims to grab a dominant share of Indian consumer spending in a struggle with rivals, particularly Amazon Inc and Walmart Inc’s recently acquired Flipkart.